Get Your Keyblade Ready, 3DS Owners! 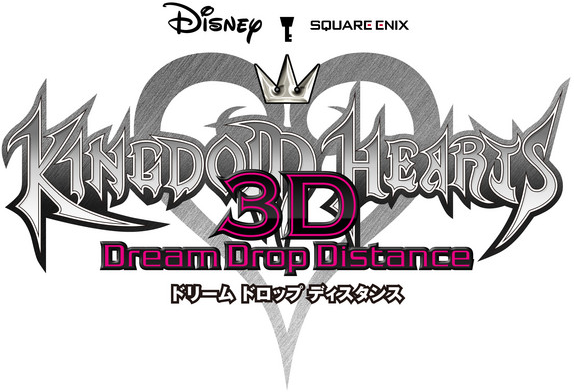 This past week’s Famitsu magazine had a bit of information on the upcoming title, Kingdom Hearts: Dream Drop Distance. There were no showings of this title at the last E3, so I’ve found the Japanese trailer for those of you who want a peek. The game is about halfway complete, and the series’ next major title will be paved out a bit in this 3DS game. Just so it’s known, I am a Kingdom Hearts fan. I’m not a crazed fan though, like my best friend, but I really enjoyed the first installment of the series. To be more accurate, I LOVED the first Kingdom Hearts. I didn’t own a Playstation system when it first released, so I often had to play it when I went to my friend’s house. I was very excited when the series continued onto Nintendo’s handhelds, but I never got the satisfaction out of them as I did the console titles. With this new title (which in my opinion has a really strange name), I am really hoping I will get a more immersive gameplay. I do own 358/2 days for the DS, and I rather enjoyed the title, but as I said, not as much as I did other games. There will be an inclusion of a secret movie in the game. Other than that, Nomura only gave vague hints about the game. The game’s story is engimatic and quite puzzling, apparently, and will go into the data hidden within Sora. Of course, I don’t think anybody can give the games storyline in just one sitting without having to stop and recap and then restart six times. At least, that’s what my friend does when she tries to explain it. You will be able to work your way to the rooftops, so get your adventure shoes on! Nomura also gave some information on the future of Kingdom Hearts. 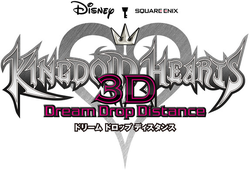 As said earlier, if you are eager for Kingdom Hearts III, this game will give you some answers. The Xehanort part of the King Hearts saga will end with KHIII. They are planning for a continuation of the series with Sora as the main character already, though. So for those of you who want more, they are going to give it to you. Here is a trailer of the upcoming 3D title, Dream Drop Distance. I really want to know what they are thinking with titles, but at least it’s not a bunch of numbers.